Here are just a few of the things going on in and around Prescott, Arizona this weekend December 29 – January 1! Enjoy a field walk every Saturday at the Highland Center. Enchanted Christmas is an amazing indoor Tour of Lights. Experience the magic of Christmas in the warmth as you journey through 22 different themed rooms adorned with over 112 million lights. View hundreds of gingerbread villages at one of Arizona’s best Christmas City events. This winters farmers market hosts 30 local farmers, ranchers, and food and art vendors. A certified Sommelier will guide you through one of the most recognizable wine regions, the Bordeaux of France. Explore everything form the history this provided for the region, to it’s importance on wine as we know it. View woven wearables by Jo Mangineli, polymer clay jewelry by Judith Skinner, and felt sculpted items by Deborah Salazar. An evening of 50’s to 70’s R&R, R&B, blues, and jazz with Harry "O" along with a few special guests. Watch as a 6-foot illuminated Cowboy Boot is slowly lowered down The Palace Building’s flagpole. It’s a family friendly event and FREE to the public. Guests will arrive and be greeted with a Barley Hound apron and spoon (and of course some champagne). 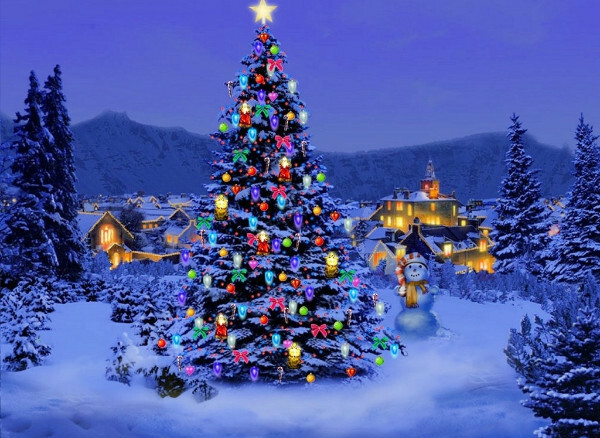 Merry Christmas from Kathleen Yamauchi Group Real Estate. Here are just a few of the things going on in and around Prescott, Arizona this weekend December 22-25, 2017! Prescott AZ features our 4th Friday Art Walk every month of the year showcasing regional & international photography, painting, sculpture, jewelry & wearable art! Meander the streets & courtyards to discover a virtual feast for the eyes & soul. 30 minutes of stories, songs and fingerplays especially for children, ages 3-5, and their grownups. Siblings are always welcome. Join us for the reception for the photographers during Prescott’s 4th Friday Art Walk at ‘Tis December 22nd from 5:00 – 7:00 PM. Enchanted Christmas is an Amazing Indoor Tour of lights. Experience the magic of Christmas in the warmth as you journey through our 22 different themed rooms adorned with over 1/2 million lights, complete with a large Department 56 Village Display and model trains. The park will be filled with festive holiday decorations, music, and spectacular light displays. We&#39;ll have light concessions available with items such as hot cocoa and coffee. The World’s Largest Gingerbread Village is ready for all to tour this coming holiday season. The Village is in the lobby of the Prescott Resort and Conference Center, 7 days a week. There is no charge to see the Village. "Arizona’s Teritorial Capital "1864", "Where It All Began" Learn About Prescott’s Historic Past & Present! 20-30 minutes of stories, songs and activities for the whole family! This is putting all you closet pickers, singers and ivory ticklers (yes we have a piano) on notice to show up and strut your stuff, knowing you have the support of your friends and neighbors. 37th Annual "Don’t Spend Christmas Alone"
Will provide a FREE full Christmas dinner and fellowship for everyone in the Quad City area who may be alone or feel alone on this day. The annual Whiskey Row New Year’s Eve Boot Drop is just around the corner, and downtown Prescott is gearing up for the event. Whiskey Row will become a street party as a 6-foot illuminated Cowboy Boot will be slowly lowered down the Palace building’s flagpole. How did the Boot Drop get started? The tradition began in 2010 when Tracey Horn of Helken & Horn Advertising Agency approached local graphic artist Stephan Markov of Morgan Sign Co. with a design request. “They had an idea for a boot, and she challenged me to make one,” Markov recalls. The rest, as they say, is history. The celebrations will starts at 8:00 p.m. Sunday, December 31st and end at 12:30 a.m. 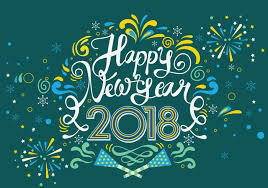 There will be two boot drops over the course of the evening with the first drop occurring at 10:00 p.m. followed by the midnight drop to ring in 2018. Free to all who attend there will be entertainment and refreshments. Local MC and radio talent, Leza Dandos will be pumping up the crowd by spinning tunes, and there will also be local vendors, fire dancers, promotional giveaways and a Ferris Wheel. Whiskey Row, dates back to 1864 and was visited by many well-known figures of that time, including Doc Holliday and the Earp brothers. Destroyed in the fire, but restored, today Whiskey Row stands as a monument to the past. From mining to the Indian wars of the late 1800’s, Prescott AZ was the very center of activity and commerce in the region. Click here to learn more about Prescott’s history. Visiting Prescott for the holidays? 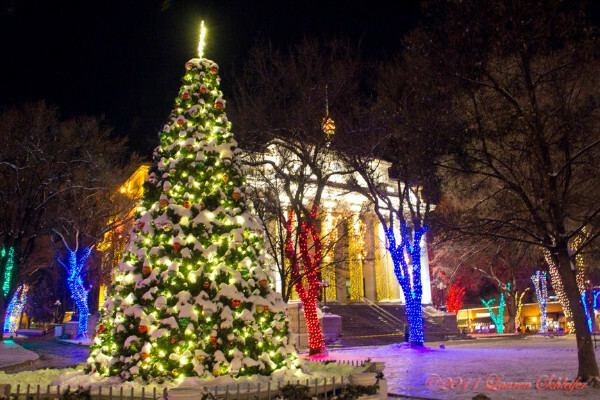 Once you’ve experienced one of the best small towns for Christmas Celebrations and Prescott’s New Year’s Eve Boot Drop tradition we are sure that it will leave an indelible impression and the experience doesn’t have to end. With over 100 years of combined real estate experience. Kathleen Yamauchi Group Real Estate offers full-service, boutique real estate service for clients who are looking to buy a home or land in Prescott Arizona. Established in 1991, we are passionate about helping each client achieve their real estate goals. Under the direction of Dr. Will Fisher, Womansong will be performing a chorale alongside D’Indy Trio for piano, cello and clarinet. Celebrate the season with a fresh take on a beloved yuletide favorite, as YC Performing Arts spins this whirlwind tale of friendship, showbiz and romance around Irving Berlins classic holiday tune. Pour yourself some eggnog and get ready to be transported back to a Vegas-style lounge for a night of familiar standards and swingin’ Christmas songs. Christmas with The Rat Pack is an instant classic! Local star gazer and naturalist docent John Mangameli will lead a fun trek through the fall sky constellations. No fee. Astral Light’s debut album “IGNITION” is released 12-15-17 and this concert is a celebration of this long awaited event. Come out to listen, rock on and enjoy one of Prescott’s newest bands first release. The classic animated Christmas special, A Charlie Brown Christmas, comes to life in this faithful stage adaptation. Support your local artists who have made wonderful home-made crafts and gifts for the whole family. Bring the entire family and all your friends, sip hot cocoa, sit back, enjoy the live music and see if once again Scrooge can embrace the Holiday spirit. The day is filled with native artists from all over the Southwest and their unique art and craft for holiday gift ideas. A cast of approximately 35 young dancers, ages 5-15, will delight the audience with their 40-minute rendition of the different characters in the ballet. For children of all ages. Join Red Hawk and friends for a reading and conversation about his book Return to the Mother, a Lovers Handbook. These 94 poems shed light on the enigmatic sutras of Lao Tsu. A SURFIN’ HOLIDAY serves-up some of the most recognized Christmas classics, like: “Little St. Nic,” Frosty The Snowman,” Santa’s Beard” and “White Christmas” along with all your favorite Beach Boys tunes. The Winter Farmers Market hosts 30 local farmers, rancher, and food and craft vendors each week. Come and meet Santa in the heart of downtown Prescott. Free event! Pictures, fun, and hot chocolate. Party honoring the President and Founder, Milt Cannon on his 80 yr. old birth date. There will be dining and live entertainment form beginning to end with renowned artists presenting. 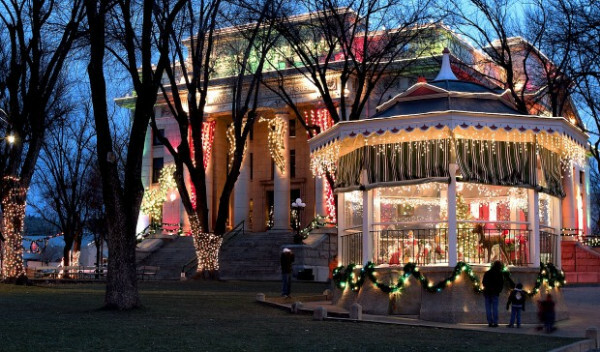 Are you ready to make Prescott home for the Holidays? The holidays are here, and it’s time to make your Christmas wish list. So what about asking Santa for a new home? Prescott, Arizona is the perfect place to call home. Nestled in the Prescott National Forest which covers 1.25 million acres there are over 400 miles of trails for hikers, mountain bikers, and horseback riding, refreshing your soul and restoring peace in your life is as easy as dusting off your saddle or strapping on your backpack. Prescott has consistently maintained high academic ratings. BASIS Prescott which is the regions public charter school is regarded nationally as one of the best educational programs anywhere. Even Santa would agree that education is the foundation for life. Also, Prescott is home to Embry-Riddle Aeronautical University (ERAU). Out of 198 schools, ERAU is tied at #13 for Best Undergraduate Engineering Programs in the U.S. Considered a high altitude desert, Prescott, AZ has consistently been rated by the American Lung Association as having some of the cleanest air in the United States. With an elevation of 5,400’ our daytime average temperature is 73. Whether you are seeking a home that is historic, in a gated community, a country estate, traditional or Pueblo style home, at Kathleen Yamauchi Group Real Estate we specialize in homes sure to match your distinctive style. Winter is considered “Off Season,” many sellers will indeed leave their property on the market over the holidays to capture the attention of off-season, motivated home buyers. One advantage of being an enthusiastic buyer is that you often face less competition which means fewer competing bids. Unlike Black Friday, you don’t have to get up at the crack of dawn to shop for a home or land over the holidays in Prescott. Simply contact Kathleen Yamauchi Group Real Estate to get started. Assisting home buyers since 1991 our finely tuned team has over 100 years of experience. When you work with one member of the group, you get all of the Kathleen Yamauchi Group team experience. Contact Kathleen Yamauchi Group Real Estate to talk further or call (928)771-1111 today! Here are just a few of the things going on in and around Prescott, Arizona this weekend December 8 – 10, 2017! A juried exhibit highlighting the best of Yavapai College students artwork. Acker Night has become a highlight of Arizona’s Christmas City events. Enjoy over 100 musicians performing all around downtown area shops. A Holiday Bazaar with lots of merchandise priced to sell. A special story time with a visitor from the North Pole, Mrs. Claus. For children ages 3-5. Holiday items include ornaments, lights, trees, toys, winter hats, scarfs, sweaters, jewelry and lots more. Homemade cakes, pies and cookies too! Join us for the Mountain Oak Annual Winter Faire… Hearty Winter foods, Live Music, Raffle, Silent Auction and Holiday Cheer! Join the Chorale for beautiful music of the season and light hearted good wishes to you and yours at this special time of year. Esteban and full band, along with violinist Teresa Joy, will warm and captivate your heart this Christmas Season. Mr. Rotman is a Julliard trained pianist who has performed in the International Tchaikovsky Piano Competition in Moscow and has won numerous competitive piano awards.